Happy go lucky, I like to learn new things and try new things out. Go for lunch or dinner and a few drinks. 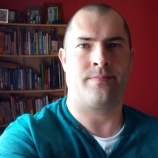 Scottybhoy29 is a Male dating in Cavan, Ireland. Check the description of this 42 years old profile, he is White/Caucasian and Other maybe this matches your profile description and you can both start dating in Ireland for free. The stars says he is a Virgo maybe you should check your horoscope and match up your star sign.